The retro look is definitely not going anywhere, and savvy women (like us) are always looking for ways to add a vintage touch to a more modern piece, or give a plain outfit a dash of individuality that gives a backwards glance to days gone by. Vintage fairs and markets are a great place to find one-offs and genuine 1950s memorabilia, but one problem that many of us (although not all) have when we’re sighing over gorgeous patterned swing dresses is that back in the 50s, women were TINY. If you’re not so tiny, the authentic fifties dresses might be just to drool over! In the fifties, fashion was coming out of the doldrums following the austerity (don’t you just hate that word) of the war years, and so there were many new styles and pretty fabrics filtering through. One of the most famous fashion trends that influenced women everywhere was the Christian Dior ‘New Look’. Although it was around in the late forties, women began to adapt it in the fifties and add their own interpretation to the idealistic full skirted, cinched waisted, pointed busted look that was in fashion. In the 21st century, adapting everyday fashion to suit yourself is pretty much a way of life, and with so many lovely retro styled dresses on eBay and Etsy, you can give your look a fifties makeover cheaply and very easily. If you want to recreate the fifties look in the 21st century, you’ll need a full skirt or a full skirted dress, with a petticoat. Although halter necks were fashionable towards the end of the decade, sophisticated three-quarter length sleeves were very popular too, think Audrey Hepburn or Grace Kelly for understated style. Sleeves were tight – look at the stretchy iconic black top Audrey wore in in Funny Face. For a fantastic way to add style (and sleeves) to a vintage dress, pop on some black lace Wingz and feel the elegance. Whether you’re going full rockabilly with a swing skirt and a flower in your hair, or going for understated glamour with a full skirted dress and nipped-in waist, add Wing for a demure touch that gives your retro outfit even more pizazz. 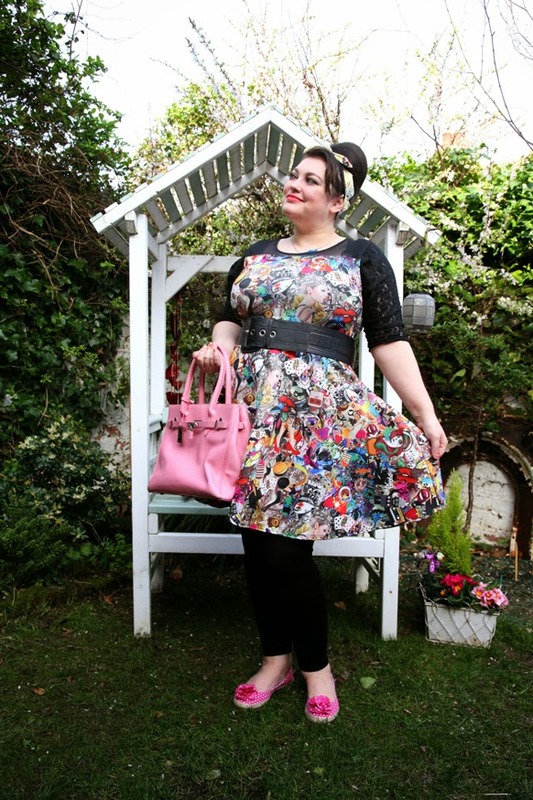 PS: For a few ideas on how to work the retro look (and generally just about any look, if we’re honest) check out Betty Pamper on ‘Pamper and Curves’….here she is adding a modern twist to the swing dress with Wingz and attitude!